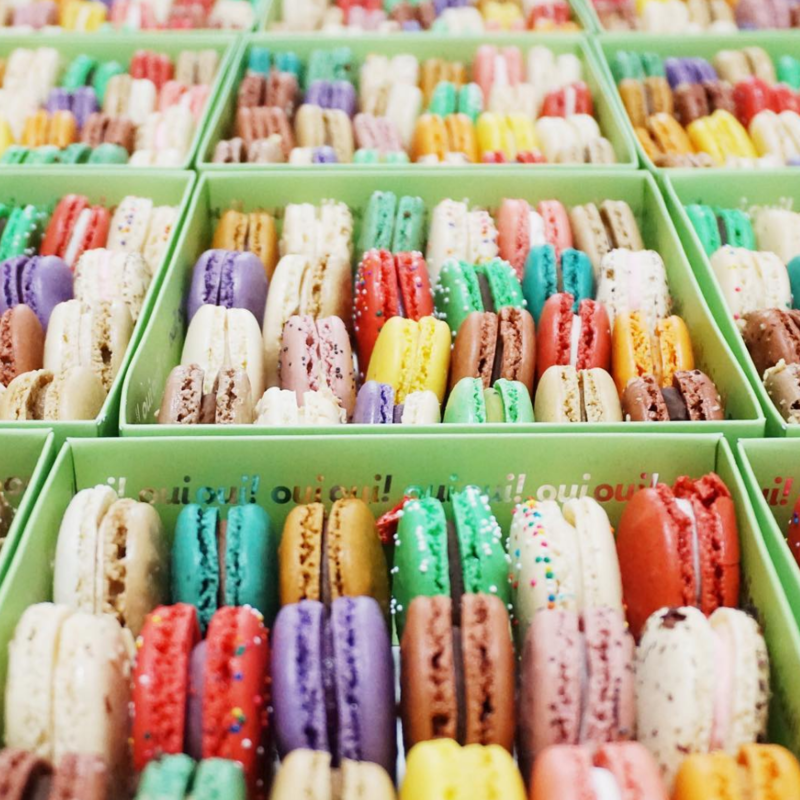 While studying in culinary school, Cat (owner and pastry chef) had one goal: master one of the most difficult cookies, the French macaron. 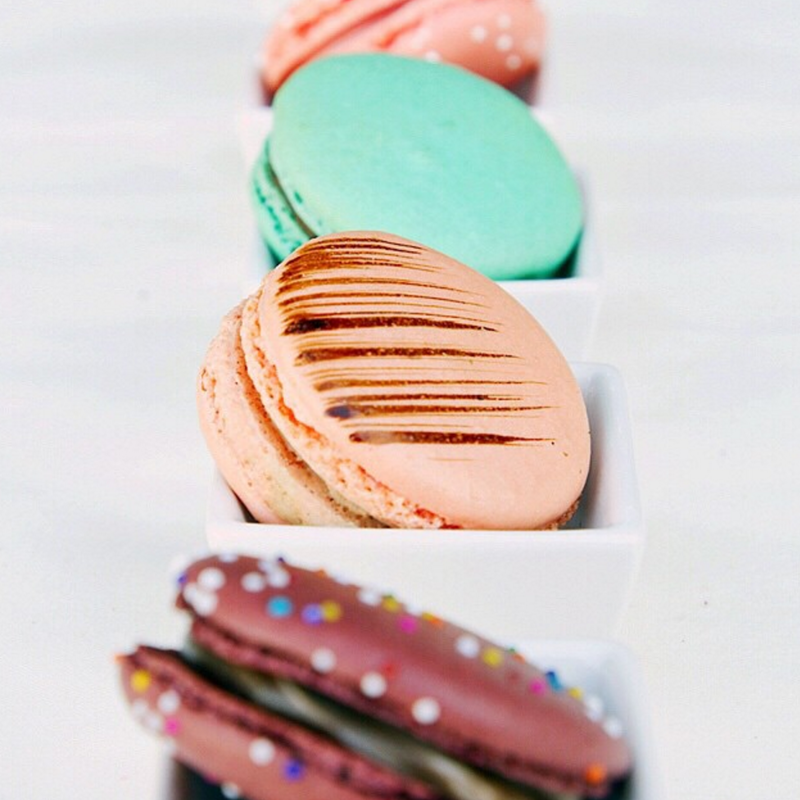 She successfully created an ideal recipe for a perfect macaron: a crisp shell with prominent feet, a chewy interior paired with decadent chocolate ganaches and buttercream fillings. Thus, Oui Oui! 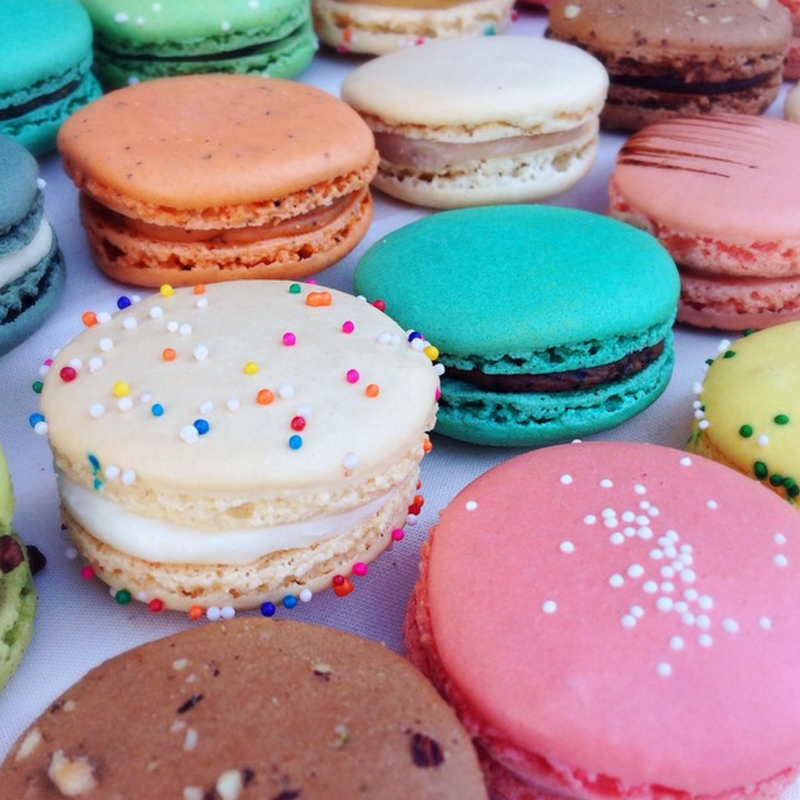 Macaron was born in 2008 and has since grown from a pop-up shop to 2 Bay Area storefronts.